No more waiting for results. The real-time voting functionality has you keep pulse with your customers’ opinions and never miss a beat. The registration form captures new user information to grow your database. Find new customers and nurture new leads. Set voting restrictions and limitations. Allow voting once per day or once per competition. There’s no gaming the system and all competitors have an equal chance to win. The sharing and commenting functionality allows your audience to voice their opinions and pass along to their networks. Learn what your customers really think through fun, friendly expression of opinion. Made with your logo and asset library. 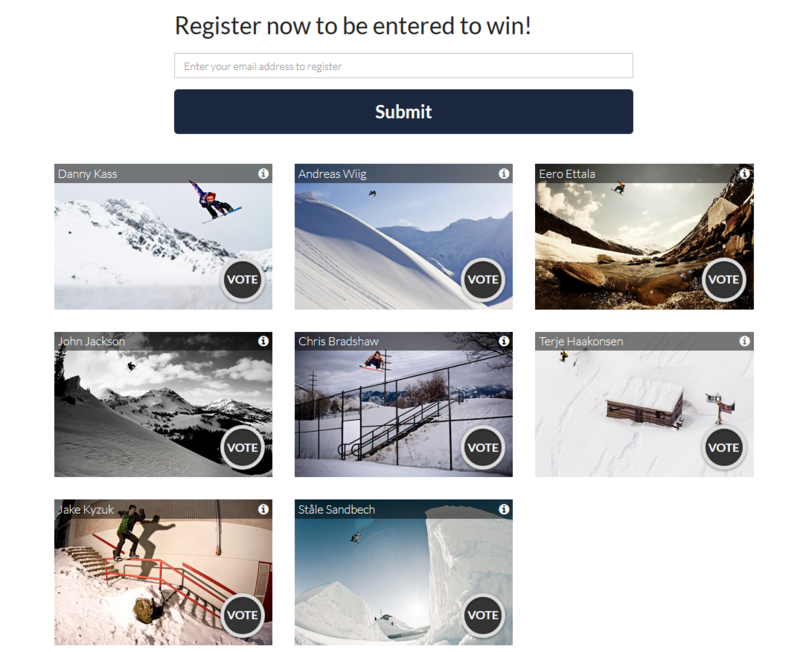 Take already existing video, images and text to create a dynamic one of a kind voting competition. The easy embed functionality allows you to place any competition into your website and facebook communities. No need to worry about driving traffic anywhere, you can easily bring the competition to your already established audiences.